The story is told out of chronological order. It starts the day that Amy disappeared, and is told to the reader from the viewpoint of Nick. The police begin their investigation with the assumption that the husband must be involved in whatever happened to his wife. Nick has no idea what happened to Amy, and is genuinely worried about her. There was evidence of a struggle in their home that took place while Nick was at work. He and his twin sister own a bar – which was purchased with Amy’s money. Some of the story goes back in time to when Nick and Amy first met and started dating. It paints a very sweet picture of the two of them. Literally. Their first kiss was next to a bakery where the air was filled with sugar. I found myself wanting to give Nick the benefit of the doubt – for now. The reader is first introduced to Amy through her diary. She secretly wrote down her most private thoughts, fears and emotions. It starts with an optimistic view of their marriage, and leads readers through its deterioration. There was a time when both of them lost their jobs – one after the other – and started becoming distant from each other. Things grow much more dangerous and darker as the diary goes on. Amy has left Nick a series of clues, in the form of a scavenger hunt. She creates one every year for Valentine’s Day. It starts with a wrapped gift that includes a clue (in the form of a poem). From that, Nick must figure out where to go to find the next clue. It goes on for a while. In previous years, Nick hated the scavenger hunt. Amy based the clues around small details that were important to her, and would become disappointed and angry when Nick couldn’t figure them out. This time, however, Amy’s clues are very lovey-dovey, and the locations they send Nick are ones that are significant to him. He starts working on these clues without letting the police know about it. Amy’s parents organize people to search for their missing daughter. They set up phone banks with volunteers waiting to take calls from anyone who has some relevant information to share. It is extremely tense, and awkward, and Nick comes across as indifferent. Inside, he’s freaking out. Amy’s parents did something that likely warped their daughter’s worldview. They created a book series called “Amazing Amy”, based on their daughter. In the book, Amy was the perfect daughter, who always made the best decisions. Imagine being the real Amy and trying to live up to that! The books became incredibly popular, and turned Amy into a minor celebrity. She tells Nick that she has had problems with stalkers, and with a boyfriend who was… I’m going to say super clingy. Nick believes this, right up until he contacts those people and finds that their stories do not match what Amy said. I started off liking both Nick and Amy, but that changed as the book went on. Readers eventually are introduced to Amy as herself – not through her diary – and she brings them up to speed about where she is and what she has been doing. She also gives the reader some clues about what really happened before she disappeared. One thing is clear: at least one of these two people are lying. I kept changing my mind about who to believe. Gillian Flynn excels at creating strong, interesting, psychopathic characters. The unsettling thing is how well those characters pass themselves off as good people. 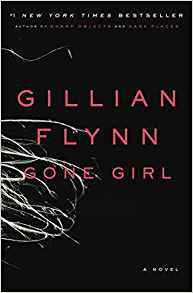 Gone Girl – by Gillian Flynn is a post written by Jen Thorpe on Book of Jen and is not allowed to be copied to other sites.